But I also cared DEEPLY about little things… like pricing. Like whether to release it as an ebook. I cared about sales, promotion, everything. I didn’t want to miss a single detail. I cared about that book… like it was my baby. Just like when your midwife or doctor hands you that perfect little baby, I didn’t want to make a single mistake. I worried that one little booboo would ruin my baby – I mean book – forever. That’s because I was a writer with a story. One precious, delicate story, out there by itself in the world. Have you written and published your first book? Maybe you feel the same way. Maybe you wonder if the magic will NEVER happen again, if you’ll ever find another story in yourself? And that self-doubt tells you that you’d better do everything you can to get it right or else… or else what? Just like my father knew that day by the swing set, the worst-case scenario isn’t that bad at all. In part because you can always make more. The truth is, in those early days, I was thinking more like a writer with a STORY. These days, more than a dozen books in (all of which I love and am proud of), I’m thinking more like a writer with a CAREER??? This attitude can make all the difference in the world. I’m more relaxed, and you can be, too. I have also realized that almost every mistake is reversible – even some of the biggies. 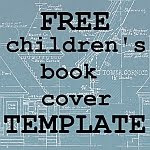 Cover, title, interior text; these days, it can all be redone as your career matures or your budget or horizons expand. A few months ago, I re-released an early picture book of mine in full colour. I had only been able to afford black-and-white illustrations at the time that I had it done. And I didn’t really have a good sense of how to create a compelling cover, either, so I’d just gone with the default Createspace cover. So I took the opportunity to redo the cover at the same time. And I changed some of the text around that I didn’t think worked as well. Plus, I took the opportunity to release it as a Kindle book, which I’d never done before, using my own easy 5-step Kindle kids’-book conversion method. Ultimately, it was a hassle, a lot of work, and I was very pleased with the new full-colour edition, which looks far more like a “professional” kids’ book. If this had been my first and only book, I think I would have been scared to death to tamper with it. Just like I was scared to death to see my father pushing my first child so high on the swing. But now, it felt like just one more experiment. You can experiment, too, if you think of your writing as a CAREER, not just a single STORY. You may be feeling something similar yourself – just as I was when I saw my son so high up on the swing. Until you really shift into “career” mode (as I shifted, perhaps, into “career mom” mode with the birth of my third child), you will naturally worry about your book, especially if it’s your one and only. You’ll want to baby it. As my father suggested, the best thing for it is to go ahead and make more. Sure, it may take nine months and cause permanent stretch marks (writing a book is a LOT like having a baby! ), but you’ll be a better person and enjoy a richer life for it. And you will relax more. You’ll find yourself enjoying each book on its own, of course, but enjoying them all together. And enjoying the vision of yourself not just as a writer with a BOOK… but as a writer with a CAREER. I’d love to hear what you think, especially if you’ve gone from having a book to having a career. Has the transition been as painful as having a baby?